Hollywood studios have long been savvy when it comes to literature, keeping their ears to the ground to best snap up production rights to novels and memoirs, sometimes entering high-stakes bidding wars to score a good title. (More often than not, rights to a book are purchased, and a movie is never made.) The gambit often pays off: some of Hollywood’s most beloved and awarded films, like The Godfather and Gone With the Wind, started as books. Here are the kinds of books that the industry has a way of turning into silver-screen gold. One hardly needs a recommendation to be pointed in the direction of J.R.R. Tolkien’s Lord of the Rings series or Margaret Mitchell’s Gone With the Wind. But there is a tribe of meritorious and masterful novels that are often upstaged by their Oscar-winning films, that warrant recollection. The English Patient, Michael Ondaatje’s Booker-winning tale of trauma and redemption in World War II, is a notable example. There’s the National Book Award-winning novel From Here to Eternity, another World War II tale and its author, James Jones’s, whirlwind first book, that was also honored by the Modern Library as one of the 100 best novels of the 20th century. Also included on that list is Robert Penn Warren’s All the King’s Men, a Pulitzer-awarded tale inspired by the likes of Huey Long. It went on to be filmed as a noirish masterpiece in 1949. More famous titles like the German novel All Quiet on the Western Front, by Erich Maria Remarque, inspired the movie that made a trenchant exploration of the traumas and disappointments the West faced following World War I. For those who want a great, Best Picture-creating novel, but want to avoid the topic of war, Ken Kesey’s ebullient sanatorium tale One Flew Over the Cuckoo’s Nest, and Laura Z. Hobson’s stirring story of anti-Semitism Gentleman’s Agreement make superb options. And lovers of both film and literature can find a superb delight in Alfred Hitchcock’s Rebecca, adapted from Daphne du Maurier’s lovely gothic treasure. Many writers have found success in adaptation that has helped to illuminate their entire oeuvre, filled with books that fans of the author often prefer. Famed Western writer and book collector (and seller) Larry McMurtry wrote the novel Terms of Endearment, while the legendary author of Blood Meridian, Cormac McCarthy, gave us No Country for Old Men, which became a blood-curdling Coen brothers movie bolstered by a tremendous performance by Javier Bardem. Many books to have inspired Best Picture winners have shrunk behind the status of their blockbuster adaptations, sometimes to the detriment of the reading public. Forrest Gump, Dances With Wolves, and Schindler’s List all come from comparatively obscure novels (the latter was released in Australia as Schindler’s Ark, and won the Booker Prize). 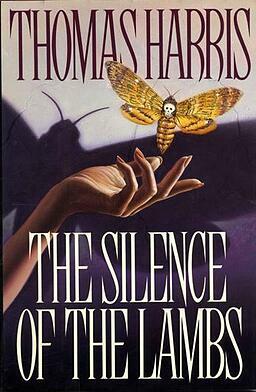 Cimarron, an Oklahoma story by Edna Ferber, and The Silence of the Lambs by Thomas Harris remain some of the most respected books in the Western and thriller genres, respectively, but are often passed over for the movies. Midnight Cowboy, about a man with ambitions to find success as a gigolo to wealthy women, may not ever earn itself a place on college syllabi, but stands to be a great read for anyone already interested in its brief synopsis. You don’t have to restrict yourself to fiction if you want to read a Best Picture-inspiring book. In the last five years, two films won the most coveted Oscar by drawing from nonfiction sources—Betrayal, written by the Boston Globe reporters who exposed the child sexual abuse endemic to the Catholic Church, gave way to Spotlight, and 12 Years a Slave, the remarkable memoir of Solomon Northup, who was abducted from upstate New York and forced to labor away from his family for over a decade, captivated audiences. Seven Pillars of Wisdom, which inspired Lawrence of Arabia, tells the remarkable story of a British intelligence officers involvement in the Arab Revolt, while Out of Africa recounts author Karen Blixen’s life in Kenya on her coffee plantation. If international (and real) drama is more your thing, The French Connection, a story of drug-running, violence, and crime, makes a great read. Surely, there are worse ways of finding your next read than looking at the Oscar list of Best Picture winners. Behind many of them is a great book.